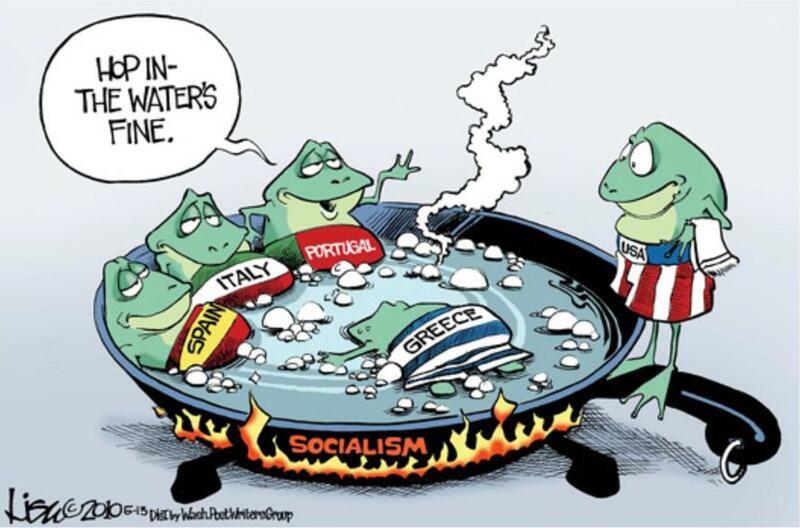 Socialism’s popularity is reviving in America. A self-proclaimed socialist won the Democratic nomination for a congressional seat in the Bronx, and Democratic Socialist candidates are thriving in many areas of the nation. 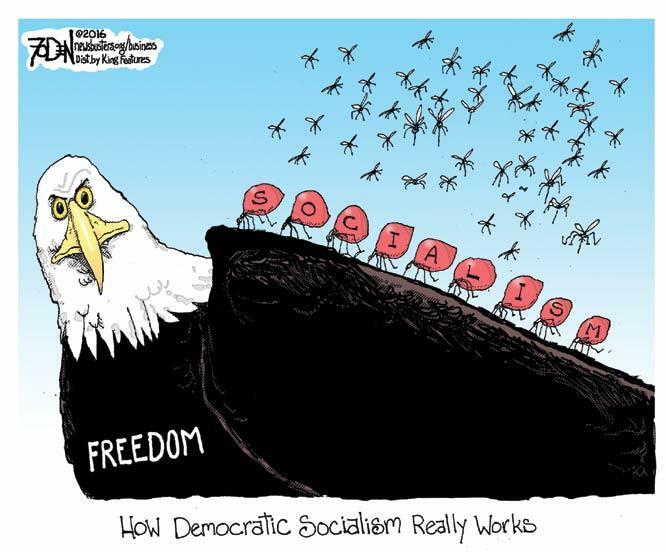 The Washington Post reported in July that it’s “been a good summer for the Democratic Socialists of America,” who have “never had more adherents or more clout.” The Democratic Socialists of America openly calls for the abolition of capitalism. It would be gratifying to Karl Marx, born 200 years ago in Trier, Germany. In a New York Times tribute headlined, “Happy Birthday, Karl Marx. You Were Right!” philosophy professor Jason Barker declared that “educated liberal opinion is today more or less unanimous in its agreement with Marx’s basic thesis” that capitalism is fatally flawed. But that presumption is true only if “educated liberal opinion” simply does not care about tyranny. Karl Marx was a philosopher, who thought into the future, had creative aspirations, and today he stands for things which is he not responsible for and which he didn’t cause…. One has to understand Karl Marx from the context of his time and not have prejudices…. Unfortunately, as decades have passed since the fall of the Soviet Union, romanticism is deep-sixing the bitter facts of the lives people in communist regimes were forced to live. British Guardian columnist Paul Mason hailed the Soviet takeover of Russia for providing “a beacon to the rest of humanity.” But Marxism in practice didn’t work out so well. Communist regimes produced the greatest ideological carnage in human history, killing more than a hundred million people in the last century. Many zealots believe that it is unfair to Marx’s legacy to hold him culpable for the perennial savagery by regimes that invoked his name. But the seeds of tyranny were there from the start. Marxists assumed that vastly increasing government power was the key to liberating humanity. But all-powerful regimes quickly become ends in themselves. In 1932, Soviet dictator Joseph Stalin decreed the death penalty for any theft of state property. In Ukraine, where millions were starving because of the brutal collectivization of farms, even children poaching a few ears of corn could be shot. The history of communism proves there will never be a shortage of intellectual apologists to sanctify any and every atrocity. In 1936, Sidney and Beatrice Webb, two prominent British socialists, justified Soviet repression because “any public expression of doubt … is an act of disloyalty and even treachery” to central economic planning. Thus, to liberate people with food and clothing, government was entitled to execute anyone who criticized the Five Year Plan for agriculture and textiles. The Webbs glorified Soviet ethical doctrines: “Paramount is the injunction to abstain from and to resist ‘exploitation,’ meaning any employment of others at wages for the purpose of making a profit out of their labor.” The Webbs observed that “abstention from exploitation is the ethical duty that is … most forcibly and frequently impressed on the youthful mind.” They presumed that all private contracts are exploitative and that politicians would never abuse their power by exploiting those under their thumb. While many Western intellectuals painted the Soviet Union as a utopia, some communists had fewer illusions. In 1928 Grigori Pyatakov, one of six Soviet leaders personally named in Lenin’s last testament, proudly declared, “According to Lenin the Communist Party is based on the principle of coercion which doesn’t recognize any limitations or inhibitions. And the central idea of this principle of boundless coercion is not coercion by itself but the absence of any limitation whatsoever — moral, political, and even physical. Such a Party is capable of achieving miracles.” Pyatakov was one of the stars of the 1937 Moscow show trials, confessing to ludicrous charges of sabotaging mines in Siberia, and was executed shortly thereafter. Marxist regimes felt entitled to inflict unlimited delusions on their victims — for the good of the people, or at least proletariats. East Germans were told the Berlin Wall existed to keep fascists out — even though all the killings by border guards involved East Germans who were heading West. Marxism promised a utopia, and that unsecured pledge sufficed to treat subjects like serfs bound to endlessly submit and obey. Anyone who tried to escape was treated as if he were stealing government property. Communism is still often portrayed as morally superior to capitalism because it banishes greedy corporations poisoning people for profit. According to Marxist theory, environmental problems cannot arise in socialist countries because man and nature are by definition in harmony. But Eastern Bloc regimes became a vast graveyard for Mother Nature. Pollution was pervasive largely because of the deification of economic plans. As long as the factories roared and industrial output rose, it didn’t matter that people and everything else were dying. I traveled behind the Iron Curtain many times in the mid to late 1980s to study first-hand the results of Marx’s philosophy. I saw pervasive fear in the faces of emaciated people on the streets of Bucharest, Romania, and I saw the terror in the eyes of young Czechs when anyone touched on the subject of politics. I encountered border guards who flew into a tizzy at any piece of paper that might contain subversive ideas. And I witnessed legions of Western apologists who always insisted on giving communist regimes more time and more Western handouts to redeem themselves. Regardless of Marx’s intentions, his doctrines spurred perpetual dread in hundreds of millions of victims. But it was criminally naive to expect happy results from any system that bestowed boundless power on politicians. Two hundred years after Marx’s birth, never forget that a philosophy that begins by idealizing government will end by idealizing subjugation.